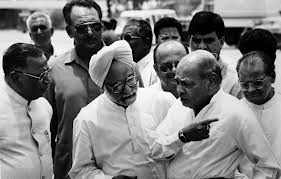 The strategy of reforms introduced in India in July 1991 presented a mixture of macroeconomic stabilization and structural adjustment. It was guided by short-term and long-term objectives. Stabilization was necessary in the short run to restore balance of payments equilibrium and to control inflation. At the same time changing the structure of institutions themselves through reforms was equally important from long term point of view. The new government moved urgently to implement a programme of macroeconomic stabilization through fiscal correction. Besides this, structural reforms were initiated in the field of trade, industry and the public sector. “…to bring about rapid and sustained improvement in the quality of the people of India. Central to this goal is the rapid growth in incomes and productive employment… The only durable solution to the curse of poverty is sustained growth of incomes and employment… Such growth requires investment: in farms, in roads, in irrigation, in industry, in power and, above all, in people. And this investment must be productive. Successful and sustained development depends on continuing increases in the productivity of our capital, our land and our labour. Fiscal Reforms: A key element in the stabilization effort was to restore fiscal discipline. The data reveals that fiscal deficit during 1990-91 was as large as 8.4 percent of GDP. The budget for 1991-92 took a bold step in the direction of correcting fiscal imbalance. It envisaged a reduction in fiscal deficit by nearly two percentage points of GDP from 8.4 percent in 1990-91 to 6.5 percent in 1991-92. The budget aimed at containing government expenditure and augmenting revenues; reversing the downtrend in the share of direct taxes to total tax revenues and curbing conspicuous consumption. Some of the important policy initiatives introduced in the budget for the year 1991-92 for correcting the fiscal imbalance were: reduction in fertilizer subsidy, abolition of subsidy on sugar, disinvestment of a part of the government’s equity holdings in select public sector undertakings, and acceptance of major recommendations of the Tax Reforms Committee headed by Raja Chelliah. These recommendations aimed to raise revenue through better compliance in case of income tax and excise and customs duties, and make the tax structure stable and transparent. Monetary and Financial Sector Reforms: Monetary reforms aimed at doing away with interest rate distortions and rationalizing the structure of lending rates. Reforms in Capital Markets: Recommendations of the Narasimham Committee were initiated in order to reform capital markets, aimed at removing direct government control and replacing it with a regulatory framework based on transparency and disclosure supervised by an independent regulator. The Securities & Exchange Board of India (SEBI) which was set up in 1988 was given statutory recognition in 1992 on the basis of recommendations of the Narasimham Committee. SEBI has been mandated to create an environment which would facilitate mobilization of adequate resources through the securities market and its efficient allocation. Industrial licensing was abolished for all projects except in 18 industries. With this, 80 percent of the industry was taken out of the licensing framework. The Monopolies & Restrictive Trade Practices (MRTP) Act was repealed to eliminate the need for prior approval by large companies for capacity expansion or diversification. The policy encouraged disinvestment of government holdings of equity share capital of public sector enterprises. Trade Policy Reforms: Under trade policy reforms, the main focus was on greater openness. Hence, the policy package was essentially an outward-oriented one. New initiatives were taken in trade policy to create an environment which would provide a stimulus to export while at the same time reducing the degree of regulation and licensing control on foreign trade. Freer imports and exports: Prior to 1991, in India imports were regulated by means of a positive list of freely importable items. From 1992, imports were regulated by a limited negative list. For instance, the trade policy of 1 April 1992, freed imports of almost all intermediate and capital goods. Only 71 items remained restricted. Rationalization of tariff structure and removal of quantitative restrictions: The Chelliah Committee’s Report had suggested drastic reduction in import duties. It had suggested a peak rate of 50 percent. As a first step towards a gradual reduction in the tariffs, the 1991-92 budget had reduced the peak rate of import duty from more than 300 percent to 150 percent. The process of lowering the customs tariffs was carried further in successive budgets. Trading Houses: The 1991 policy allowed export houses and trading houses to import a wide range of items. The Government also permitted the setting up of trading houses with 51 percent foreign equity for the purpose of promoting exports. For instance, under the 1992-97 trade policy, export houses and trading houses were provided the benefit of self-certification under the advance license system, which permits duty free imports for exports. In 1991, the government announced a specified list of high technology and high-investment priority industries wherein automatic permission was granted for foreign direct investment (FDI) up to 51 percent foreign equity. The limit was raised to 74 percent and subsequently to 100 percent for many of these industries. Moreover, many new industries have been added to the list over the years. Foreign Investment Promotion Board (FIPB) has been set up to negotiate with international firms and approve direct foreign investment in select areas. Steps were also taken from time to time to promote foreign institutional investment (FII) in India. Rationalization of Exchange Rate Policy: One of the important measures undertaken to improve the balance of payments situation was the devaluation of rupee. In the very first week of July 1991, the rupee was devalued by around 20 percent. The purpose was to bridge the gap between the real and the nominal exchange rates that had emerged on account of rising inflation and thereby to make the exports competitive. The 1991 economic reforms were focused primarily on the formal sector, and as a result, we have seen significant boom in those areas that were liberalized. Sectors such as telecom and civil aviation have benefited greatly from deregulation and subsequent reforms. However, liberalisation and economic reforms still have a long way to go, especially for the informal sector—including the urban poor who hold jobs as street vendors or rickshaw pullers, the agricultural sector, Micro, Small and Medium Enterprises (MSMEs) and tribals. The slow growth and stagnation in these sectors which have not seen any reform further highlights the significant role of the 1991 reforms in helping India’s economy become what it is today.